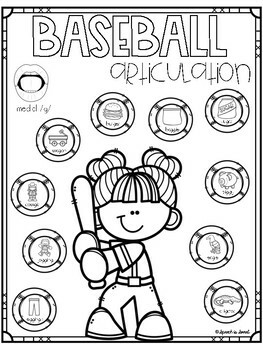 Baseball is the perfect theme for spring or summer speech therapy! 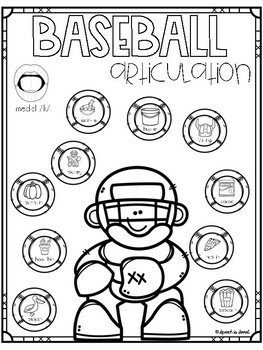 Your students will love these sporty pages! 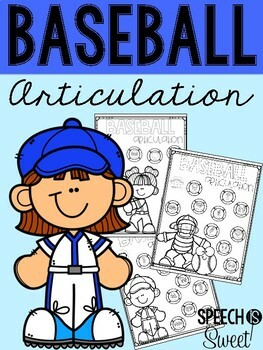 These baseball articulation printables are versatile! 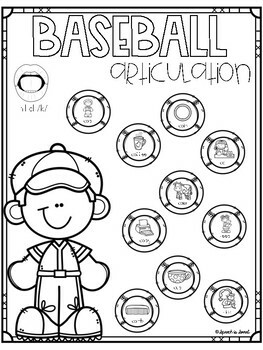 You can use them as smash mats (using dough), bingo dauber pages, students can cover the words with bingo chips/erasers/pom-poms, or simply use them as fun coloring sheets! This packet contains 80 pages that address the following sounds in the initial, medial, and final position: /k, g, f, v, p, b, t, d, m, n, s, z, th, sh, ch, j, l, r/ and /w/ and /h/ in the initial position. There are also many pages that represent /s/ blends, /r/ blends, and /l/ blends! Each page contains 10 target words and a visual cue!